Although you decorate your tree every year, it’s easy to forget a lot of things when the holiday rush is upon you. Before deciding on a location, take a look at your space and see how you can arrange it around your Christmas tree. •	Measure your space. One of the most important things you have to remember is how big your space is. Before planning out your tree’s location, measure your space to make sure your tree will fit properly. 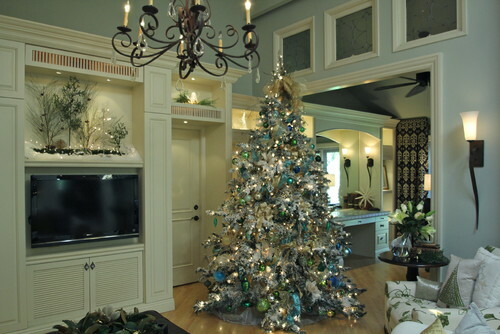 Even if you have a large space, you should consider placing your tree where it won’t block doorways or walkway areas. 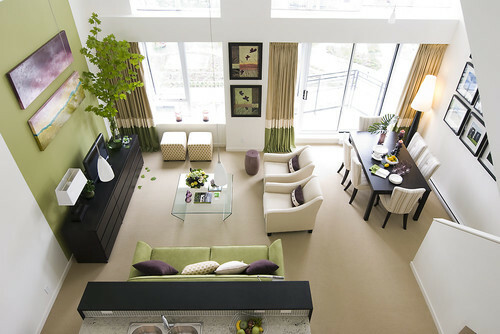 •	Choose a focal point space. Which room in your home do you spend the most time in? Pick a space in your home you love and that you know has ample space for a tree. Although the living room is the most common place for a Christmas tree, it might not be an ideal location for some. Place your tree where it won’t be an obstruction. •	Consider the furniture. There might be some furniture in your home that you can’t easily move around because of it’s heavy or because it’s a fixture in the room. Could you do without a coffee table in your sitting area so you could place a tree there? In the end, it all boils down to personal preference. If space is a concern, choose a narrow or pencil tree to give yourself more floor space. •	Try not to block natural light. 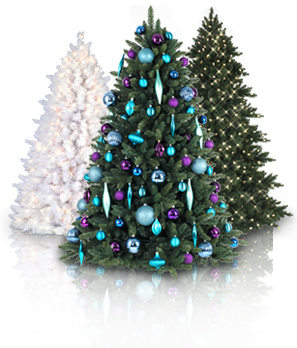 Your tree should be in a location where it can easily be seen by guests and where it won’t obstruct too many windows or other sources of natural light. Natural light should be maximized so you don’t have to turn on overhead lights during the day. •	Keep it away from heating elements. Don’t pick a place where your tree will be too close to heating elements, such as your radiator. Blocking heating elements will hinder their capacity to work efficiently and keeping your tree too close is a fire hazard. •	Don’t block natural pathways. Most homes have natural pathways with heavy foot traffic. Keep your tree a safe distance away from these pathways to prevent people from bumping the tree or toppling it over as they pass. •	Maximize vantage points. A location where your tree can be viewed from different angles is one of the best locations for it. Seeing your tree as you come down the stairs or as you read your favorite book by the fire will make you appreciate all the effort you put in decorating it and setting it up. •	Make your space work for you. Moving around furniture to accommodate your tree is sometimes unavoidable. Just remember what plans you have for the holidays and how rearranging your furniture can affect these plans. Planning ahead will help you avoid headaches during the holiday rush when there may not be enough time to make adjustments. Make the holidays memorable by focusing on the celebrations instead of your Christmas tree. Choose a location early on and make the necessary arrangements so you don’t have to worry about your tree as you gather your family around to admire its beautiful decorations and open the presents gathered under it.